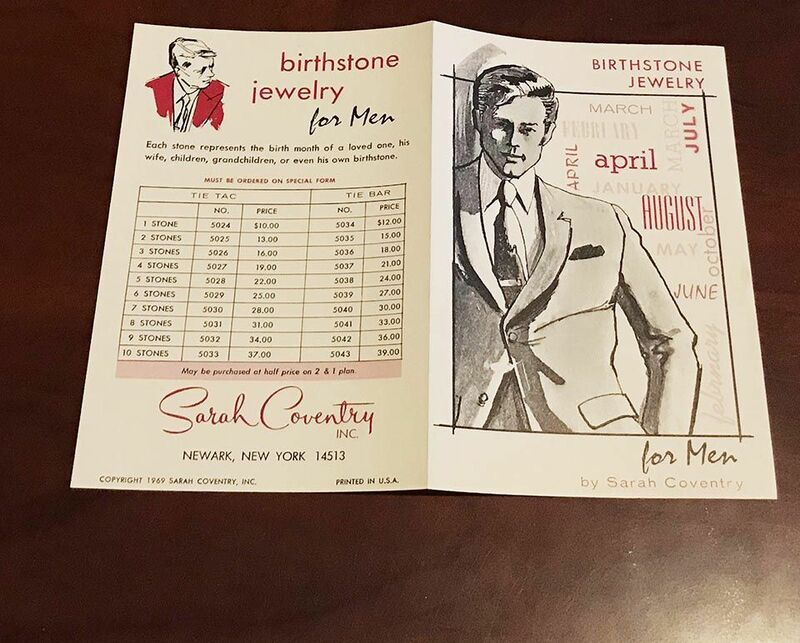 PAMPHLET - SARAH COVENTRY. 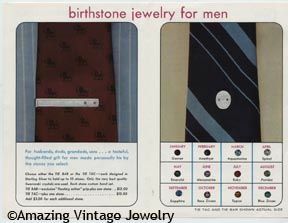 "BIRTHSTONE JEWELRY FOR MEN" FROM 1969. 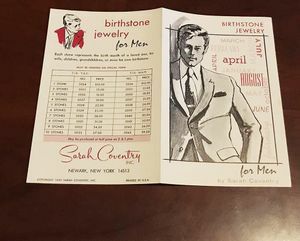 SINGLE FOLDED PAGE - INSIDE PAGES SHOW THE TIE BAR AND TIE TAC WHICH COULD BE PERSONALIZED WITH THE BIRTHSTONE OF YOUR CHOICE. PAMPHLET IS 6" X 4 1/8" FOLDED. VERY GOOD CONDITION.